The concept of anti-wrinkle cream is actually quite controversial. Wrinkles develop over time deep below the skin. Since wrinkle creams only impact the top layer, their benefits are mostly short term and superficial. When it comes to finding a top wrinkle cream, the rule of "you get what you pay for" seems to ring true. Unfortunately, the more inexpensive the aging remedy, the less likely it is to resemble the true fountain of youth. Below are a few favorites, which will likely yield results, and offer a range of price points for most budgets. If you are looking for a highly-rated product with a modest price tag, consider Olay Regenerist Regenerating Serum. Paula Begoun, consumer cosmetics expert and author of Don't Go to the Cosmetics Counter Without Me, and Consumer Search both give this product positive reviews, and it is backed by Olay's money-back guarantee. The active ingredients are a proprietary blend of amino-peptides and a vitamin B complex, which Olay claims will hydrate the skin and minimize the appearance of wrinkles. Winner of Allure Magazine's Best of Beauty award in 2011 and recommended by dermatologists, La Roche-Posay Redermic contains a high concentration of retinol. Available via the brand's website along with mass merchants, this product is considered a moderately priced cream at under $60. With an average wrinkle reduction of 80 percent in most users, Athena 7 Minute Lift is another top wrinkle cream with a reputation of being able to tighten up facial skin without irritating sensitive faces. The product size is small for the price, but claims to be a safe and effective alternative to Botox. Drawing upon Greek beauty secrets for its unique formulation, you can order via their website for a risk free trial period. A consistently well-rated brand, StriVectin won the 2011 annual Skin Sense award from The Skin Cancer Foundation for its development of its Niacin (Vitamin B3) molecule called NIA-114™. The StriVectin-SD Intensive Concentrate is one of the most popular products, available at under $150 on the brand's website, department stores such as Macy's, and sites such as Ulta. Using a special blend of unique ingredients including vitamin A and retinol, Sisleya Global Anti-Aging Cream, a Neiman Marcus Beauty Award winner, promises firmer, more youthful skin and a vibrant collection. Along with Neiman Marcus, it is available at upscale department stores. With a price point of more than $400, this French-based skincare product doesn't fit into every woman's budget. 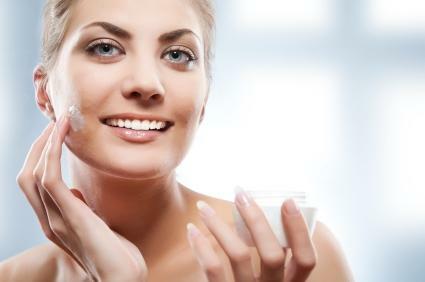 In general, anti-wrinkle creams gradually smooth the appearance of your skin. Be wary of any manufacturer who claims to actually remove the wrinkles from your body. Only surgical treatment can provide that service. The brand is not as important as the ingredients when selecting this type of cream. If the concentrations of the anti-aging chemicals are too low, they will not produce the necessary effect. If they are too high, they will cause irritation. These products naturally exfoliate the skin, adding a nice glow to hide imperfections. Antioxidants fight the progression of age conditions on the skin. Alpha and beta hydroxyl acid relieve dry skin. Exfoliation and antioxidant reactions reduce fine lines and age spots. Look for a 5 to 10 percent preferred concentration of the acid ingredients. One of the most common and effective AHAs is glycolic acid, which contributes to collagen production and essentially plumps the cells from within, resulting in a more luminous, radiant complexion. One of the best anti-aging cream ingredients if applied regularly. Prescription strength is the most effective at smoothing the appearance of fine lines. Avoid sun exposure when using. The product can cause severe irritation, so follow directions exactly. An excellent source of protection against harmful ultraviolet rays, this antioxidant also softens and soothes damaged skin. It's recognized as a powerful anti-inflammatory. The percentage of Vitamin C must be quite high to be effective. This antioxidant is also an anti-inflammatory, which helps the skin to relax the creases of wrinkles. The product stimulates cells that produce collagen naturally in the skin. Vitamin C is the best type of cream for sun-damaged skin that is sagging and has lost firmness. Vitamin C, Vitamin E, and Alpha Lipoid Acid are the three most common antioxidants found in anti wrinkle creams. These compounds naturally breakdown and lose their effectiveness quickly. It is a good cream for smaller lines, under eye bags, and enlarged pores. While collagen is a major component of skin youth, it cannot actually absorb back into the skin. Creams that highlight this ingredient are basically worthless. A relative newcomer to the anti-aging world, the copper peptide is quickly becoming recognized for its firming properties. It's found in many high-end skin care products, but is also available in the reasonably priced Neutrogena lineup. Green tea is a popular skin care ingredient that truly makes a difference thanks to its anti-inflammatory properties. The extract is often applied to products in the hopes that it will reduce puffiness and diminish the appearance of pores, lines and wrinkles. Individuals with sensitive skin may have a difficult time finding something that doesn't irritate them, but kinetin is a gentle, natural alternative to retinol-based products. The plant-derived ingredient is known to reduce fine lines and wrinkles. One of the most popular brands on the market, Kinerase, contains this ingredient. General moisturizers provide anti-inflammatory benefits. The products offer a temporary smoothing effect by holding moisture close to the skin. Aloe and shea butter create a barrier to hold natural moisture in, while propylene glycol pulls water from the air adding dampness to the skin. Sunscreen is the most important ingredient to prevent further skin damage. These products have the potential to be irritating due to dyes, fragrances, and preservatives. Don't be afraid to be picky when it comes to selecting the proper wrinkle cream for you. Anti-aging products can be an investment, and your skin deserves to be treated to the best possible ingredients and formulas. Shop at various places and recognize which ingredients may or may not suit your skin type. Most importantly, don't be disappointed if you don't see immediate results. Give your product a chance to work and your skin a chance to benefit.